SimpleCorp – Corporate and portfolio, simple and responsive theme. Theme design is optimized for proper displaying on iPhone and iPad. 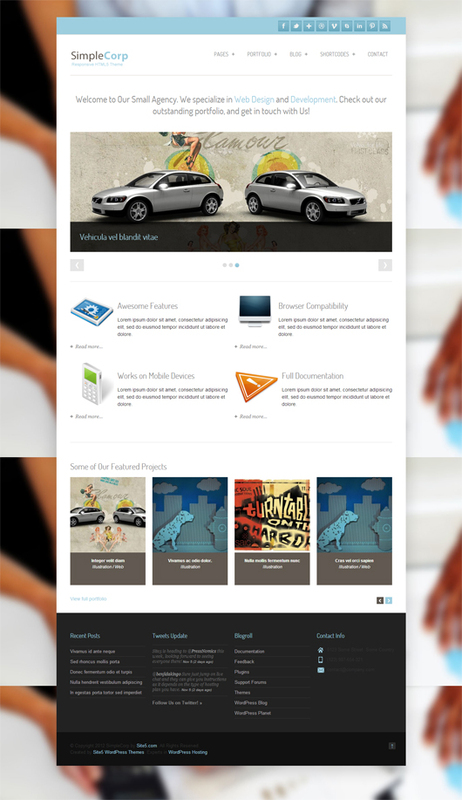 Implemented using HTML5 and CSS3 technologies along with HTML5Boilerplate-specific resources. You can choose the style of the theme from the multiple color options. You can easily edit theme options via user-friendly Theme Options Panel.